Our pediatric radiology team offers sedation and anesthesia to help make your child as comfortable as possible during a procedure. We only use sedation if your child truly needs it. Sedation is a medicine that relaxes your child. There are different levels of sedation. Some sedation will leave your child awake and other types will put your child into a deep sleep although he will still breathe on his own and have some feeling. General anesthesia puts your child to sleep where he can feel nothing. During anesthesia he will have help from a ventilator. Children who are having surgery, long procedures or who have certain medical conditions will need general anesthesia. It is our goal to give the safest doses of medicine possible. That is why we give your child medicine based on his weight and age. Our state-of-the-art facilities are child-friendly to make your child as comfortable as possible. 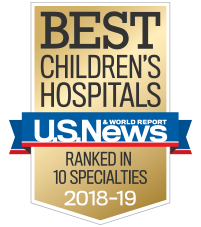 Children's has one of the largest pediatric sedation program in the country, sedating more than 5,400 patients in 2016. The program is staffed by 66 sedation physicians trained in pediatric emergency medicine and critical care.